Time to fire up the grill! 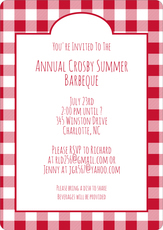 Heat things up at your next summer event with this set of invitations. Blank envelopes included. 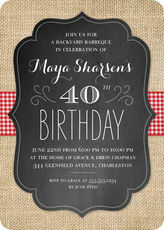 Invitation size is approximately 8.5" x 5.6". Imprint is flat.. This set of invitations will be a perfect setting for Independence Day Celebrations. Blank white envelopes are included. 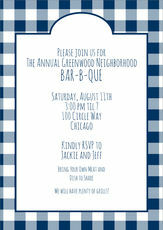 Invitation size is 5.6" x 8.5". Flat printed in ink color and.. 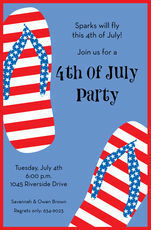 This set of invitations will be a perfect setting for Independence Day Celebrations or picnics. Blank white envelopes are included. 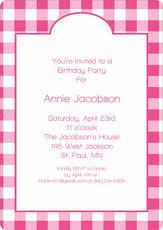 Invitation size is 5.6" x 8.5". 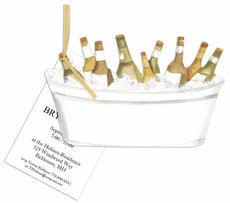 Printed return address is..
Summertime is perfect for barbecues with friends and family. 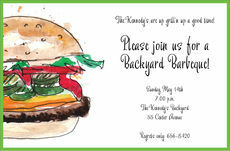 And hosting a fantastic bar-b-que party starts with a great personalized invitation. Then, it's a simple as grilling some burgers or steaks and making some easy sides and desserts. It's time to relax, put on some great music and create some BBQ fun with friends and family. 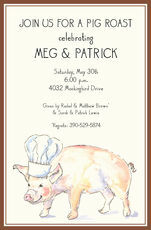 Our barbecue invitations are perfect for a rehearsal dinner, a company event, an anniversary celebration or a birthday party. Some of our all-time fun sides include grilled corn, grilled veggies, biscuits and honey, and fresh fruit. When it comes to dessert, heat up a cast iron frypan on the grill and layer marshmallows in it once all toasty, add chocolate chips and provide graham crackers to dip into it. It's a big hit at all our parties! 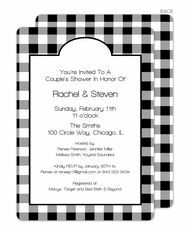 And consider some matching Barbecue napkins personalized with your own imprint, and perfect for your upcoming occasion. They add some fun and flair to your event. Our other party supplies make some great additions to and can even offer some easy clean up such as our unique personalized placemats or our wonderful personalized plastic plates.